de profundis wrote in Tue Apr 09, 2013 2:43 pm: Are these parameters restrictive to the ones that will replay the recording? For example can someone replay that recording using different weather? Yes, in general, the recording only records aircraft-specific properties, such as position, velocities, orientation, animations etc. Of course, since this flight has been analised in that much detail, all the info is there for anyone to go ahead and make a flight recording or take these screenshots and provide them here so they be included in the document. You could probably further simplify recreating the flight by using the route manager and adding corresponding waypoints to it - the RM also supports custom waypoints using various "offset" combinations. 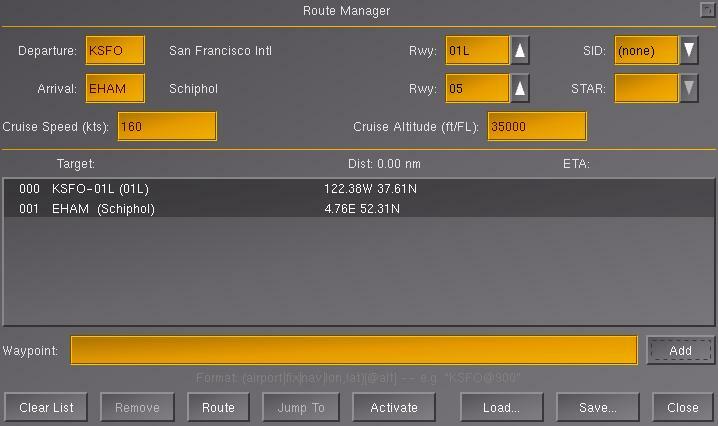 Also, it does support saving and loading flight plans. Note that this does not affect the replay/flight recorder idea - it's just about more easily finding the right place to record the flight. PS: A wiki article related to your tutorial, does sound like a good idea! I haven’t been able to record a flight because FG crashes when I press “save” on the flight recording menu (should I make a proper bug report for this??). So, until I fix or find a work-around for this, those interested in the improvement of the FG-scenery and model images used in this tutorial could refer to the document to find exactly where these screenshots are captured. Cross Country Tutorial II - a VFR guide all that's VFR and more...! the latest update is up! Regarding the base format, I can convert it to Latex fairly easily to at least get the basic text and images. Advanced formatting would probably need more work. Main problem for me is finding time - I've got my finger in too many pies in FG, and as Hooray and Thorsten can attest it takes ages for me to actually get through my TODO list! It would be great if you could find someone else to do the conversion to Latex - might be worth talking to jharris1993 who is also interested in documentation updates. Regarding license - public domain works from the US Government are GPL compatible. For other images you'll need to get explicit permission. Probably a bit of a pain but a lot of people are very generous if you explain what you want to use the image for. I'd suggest just putting together a boiler-plate email explaining what FG is, emphasising that it's a volunteer community free project. there are also some free tools / web services to automatically convert typical word formatting to LaTex - which may require a little less work hopefully. In addition, there are MS Word/Office extensions to directly export to LaTex. All of these are free - I'd suggest to give those a try first. stuart wrote in Tue Apr 16, 2013 9:26 pm: Regarding the base format, I can convert it to Latex fairly easily to at least get the basic text and images. Advanced formatting would probably need more work. I will start getting to know and work with LaTex. Right now I have no idea what advanced formating requires and if I am able to do it. Since it's not difficult for you, could you make this basic convertion so that I get an idea of how much more formatting will be needed? Do you need the 25MB .docx and the images files for this? I' ll do that too. I haven't found a way to contact SkyVector. I posted the document's link in their forum. I didn't get any reply and they erased that post. Since we are ok with the FAA material, every other source used, that I haven't got permission for it by then, could be left out from the version that will be included in the FG package. I can make the changes needed for that with alternative "free" content. Yes, I also wanted to do that but I haven't so far because, other than the FAA's contact info, I haven't found any other's address. Hooray, thank's for the links! Will look to them soon. There used to be a wiki article (stub) for exactly that purpose, but for some reason I can no longer find it - seems that Gijs has deleted it meanwhile, but you should still be able to copy/paste things together by referring to the wiki - no need to write something from scratch. This is meant to eventually become a standard inquiry for people who want to ask for permission to use copyrighted work (i.e. images, 3D models, textures etc.) with FlightGear. By writing up a standard inquiry, people can easily copy/paste, modify this inquiry and send it to the individual copyright holders of the affected work. That way, we can slowly start to have one generic text document that people can easily use to send such standard inquiries to authors of copyrighted works. stuart wrote in Fri Apr 05, 2013 11:26 am: I've been thinking of splitting off the tutorials for some time, and this would fit in well with that. The "User Guide" manual. That is, all of the information about successfully using FlightGear that is not installation related. Hey! I'm not dead yet! At risk of sounding like a disgraced Republican President - "Let me make one thing perfectly clear. 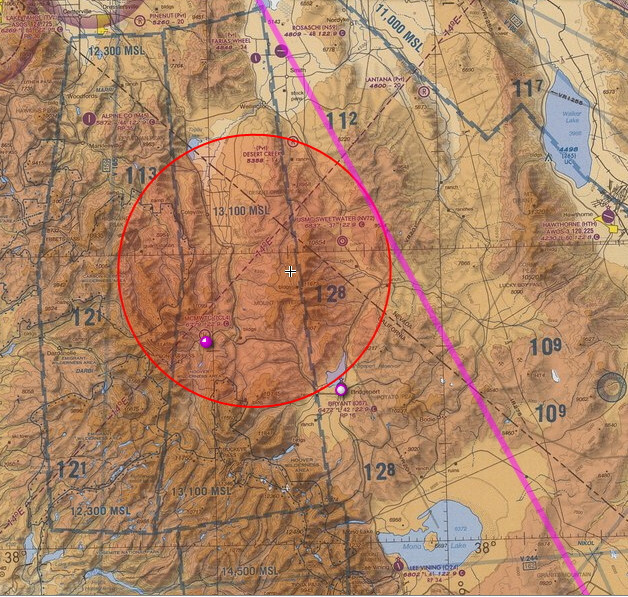 . ." I am still very much interested in the installation guide type project I mentioned before, though I will suggest that this kind of VFR tutorial, though a great idea, is outside the scope of my own idea. Unfortunately, my time has been rather thinly spread, and - no kidding! - yesterday is the first day since I last spoke with you folks that I had the opportunity to re-run FG, and I took the opportunity to upgrade from 2.8 to 2.10. Likewise unfortunately, the installation and configuration of FG on Windows still leaves MUCH to be desired, as FlightGear still assumes that many protected operating system folders are world-writable, (or at least "775"), which causes no end of grief. If we could, somehow or other, get this done, it would make installing - and documenting! - FG on Windows sooooo much easier. Thanks for letting me ramble. . . . Some see things as they are, and ask "Why?" I dream things that never were, and ask "Why Not". These are the most reliable means to report issues and ensure that they won't be getting lost. there is a changelog now (see first post on the thread). chris_blues wrote in Wed Apr 24, 2013 9:47 am: I've spotted some error on page 21! I will take care of this nasty red box being nowhere near it should be, thanks. Thank you for this great work ! Can't nobody accuse you folks of being asleep at the wheel, 'eh? When I get two seconds to rub together, I'm a-gonna have to download that and take another look. It was awesome before, I can't even imagine what it must be like now! !